Park just a few minutes away from Leeds Bradford Airport and let someone else worry about parking your car for you! 98% of customers who left a review would book again. Viking Airport Parking is rated, on average, 5 out of 5 by 200 Airparks customers. You can find the full reviews on our Viking Airport Parking reviews page. 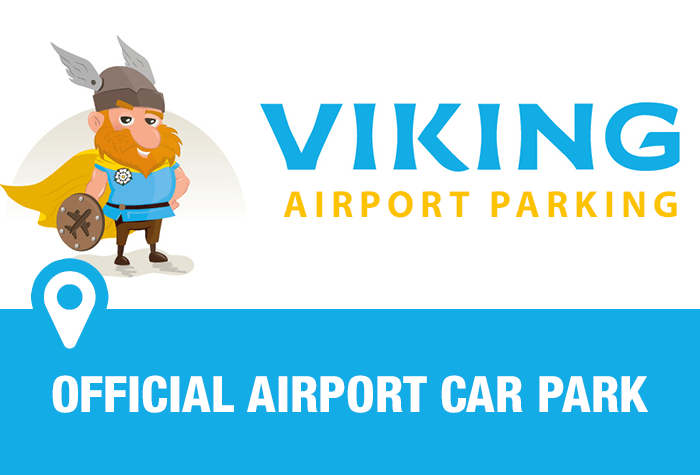 Viking Airport Car Park is just a quick shuttle bus ride away from the airport making it a very convenient car park. To check live pricing and availability enter your required parking dates at the top of the page and when you're ready to arrange parking at Viking Airport Parking you can do so through our easy online booking. You can see our full range of parking on our Leeds Bradford Airport Parking page. When you arrive at the car park your car registration will be scanned and the barrier will lift to let you in. Park your car in the drop off lane and head to reception where you can hand in your keys; a member of the team will park your car for you. Top Tip: Keep your booking confirmation handy as you may need this when you check0in with reception. There is a free transfer shuttle which runs 24/7 and takes around 3 minutes to reach the airport; all you need to do is sit back and enjoy the ride. when you get back from your trip you can pick the bus up where it dropped you off and head back to the car park. Head to reception and collect your keys, nice and easy! The car park has height restriction of 2.7m and a width restriction of 2.5m.